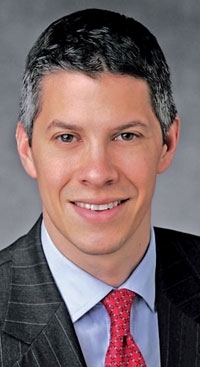 DETROIT -- Adam Jonas, a managing director and leader of Morgan Stanley's Global Auto Research team since last year, will be an opening day speaker at the 2012 Automotive News World Congress. Jonas, who joined the firm's investment banking division in Chicago in 1996, will be an afternoon speaker on Tuesday, Jan. 10. In 1999, he switched to equity research and joined Morgan Stanley's European autos team in London. Jonas was the firm's lead European auto analyst from 2003 to 2010. The theme of the 2012 Automotive News World Congress is "Revived and Remodeled: The Path to Global Growth." The event will be held Jan. 10-12 at the Marriott hotel at the Renaissance Center in downtown Detroit.